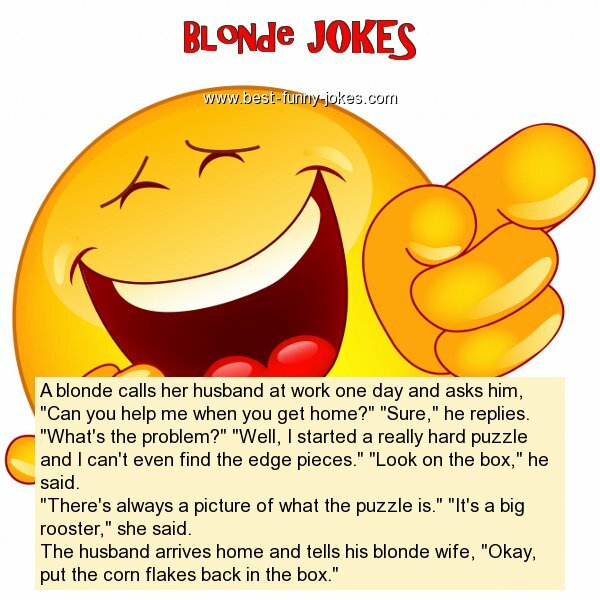 A blonde calls her husband at work one day and asks him, "Can you help me when you get home?" "Sure," he replies. "What's the problem?" "Well, I started a really hard puzzle and I can't even find the edge pieces." "Look on the box," he said. "There's always a picture of what the puzzle is." "It's a big rooster," she said. The husband arrives home and tells his blonde wife, "Okay, put the corn flakes back in the box."